This could be your team! To sponsor a Quiz Bowl team at the next O.S.R.T. Annual Meeting, please complete the online application form and submit the $20.00 participation fee no later than March 1. Fees associated with the Quiz Bowl event support the O.S.R.T. Education and Research Foundation. Applications and participation fees received after March 1 will not be accepted and will be returned to the Program Director. Please note that the application AND the fee must be submitted by the deadline in order for your team to participate. Only one team application is permitted per institution and only eight student team members are permitted per team. At the time of application, each student team member must be a member of O.S.R.T. 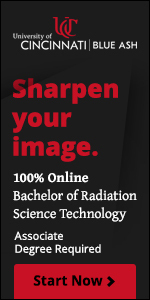 or hold membership in another state radiologic technologist professional society (if outside of Ohio). The O.S.R.T. Executive Secretary will verify student membership for all team members listed on the online form. If your team is from outside of Ohio, you must fax or mail a copy of each team participant’s membership card prior to the deadline (see application automated Thank You for fax and mailing address information once the application is submitted). All student team members must be registered for the Annual Meeting by the pre-registration deadline. The Program Director will be notified of any student team member(s) not meeting the membership and meeting pre-registration requirements and, these students will not be permitted to participate in the competition. Students deemed ineligible for participation will not be replaced by another student.